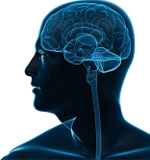 In a study published November 18, 2013 in Frontiers in Neurology, researchers from Penn and Baylor report that they have identified a blood biomarker – SNTF – that if found on the day of injury predicts with substantial accuracy both cognitive impairment persisting more than 3 months and the existence of abnormal brain imaging finding in the corpus callosum and uncinate fasciculus of the brain (using diffusion tensor imaging (DTI). Consistent with a growing body of research, the authors of the study state that “although mild traumatic brain injury (mTBI), or concussion, is not typically associated with abnormalities on computed tomography (CT) it nevertheless causes persistent cognitive dysfunction for many patients.” “Consequently,” the authors say, “new prognostic methods for mTBI are needed to identify at risk cases, especially at an early and potentially treatable stage.” The researchers looked at the plasma levels of a neurodegeneration biomarker known as “calpain-cleaved all-spectrin N-terminal fragment, ”abbreviated as SNTF. Not every person who suffers a concussion, however, will experience long term consequences and it is not feasible to use expensive advanced imaging on every concussion victim. The challenge, therefore, is to identify the most at-risk patients. The finding that increased plasma SNTF on the day of injury correlates so strongly with persistent cognitive impairments and white matter abnormalities in the most vulnerable parts of the brain offers great hope for identifying and treating at-risk patients in the future. The researchers hope to determine the robustness of their findings with a second larger study.